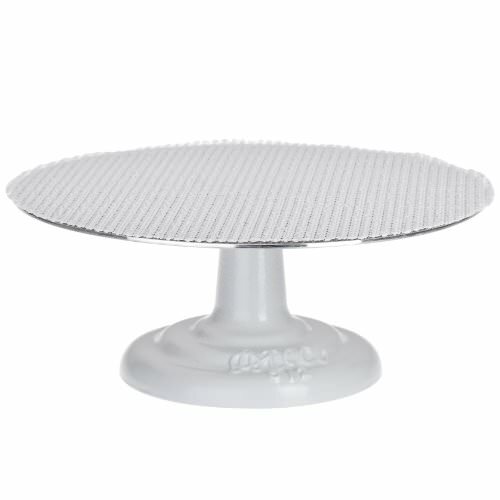 If you ever plan on making a layer cake, you must get a revolving cake stand. 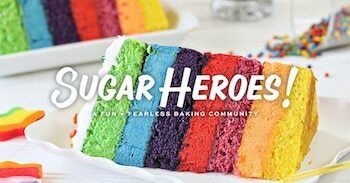 It's the best way to slice even layers and get perfectly smooth frosted edges. While you can pick up a cheap plastic cake stand for about $15, they don't turn smoothly or quickly, and honestly, I don't think they're worth even the small amount of money they cost. My metal Ateco cake stand has lasted over a decade now and is still in perfect condition. It's sturdy, turns smoothly, and can hold even the heaviest cakes. It's one of the best investments you can make in your home baking!